Despite the Windows Server Backup being listed in Administrative Tools, the Windows Server Backup feature will still need to be installed. The easiest way to install Windows Backup tools is by using Add Features in the Server Manager. For Windows Server Core installations, installing with PowerShell is the preferred method. Log on to Windows Server 2008 using an account with admin privileges. Hit Start, click All Programs, then click Administrative Tools, and select the Server Manager. On the tree panel, select the node named Features. Select Add Features link in the tasks panel. After the Add Features Wizard has opened, select the plus sign beside Windows Server Backup Features. Check both boxes to make sure that the commandline tools are also installed. Click Next to continue. Review the summary on the Confirm Installation Selections page and then click Install. The installation has now been performed, on the Installation Results page review the installation results, and then click Close. Hit Start, click All Programs, then click Accessories, and click the PowerShell folder to display the application shortcuts. Right-click PowerShell and then select Run As Administrator, if the User Account Control window opens, just click Continue to open PowerShell. Type cd \ and hit Enter. Type in Import-Module ServerManager and hit Enter. Type in Add-WindowsFeature Backup-Tools and hit Enter. Once the installation has complete, the results will shown in the window. Type in Get-WindowsFeature |More and hit Enter to generate a listing of the installed roles, role services, as well as features. Review the list to make sure that both the Windows Server Backup and Windows Server Backup command-line tools have been installed. Type in exit in the PowerShell window and hit Enter. Log on to Windows Server Core using an account with admin privileges. In Command Prompt type in cd \ and hit Enter. Type Start /w ocsetup.exe WindowsServerBackup and hit Enter. Log on to a different Windows Server Enterprise Edition system with an admin account on the local system as well as on the Windows Server Core system (assuming both systems are part of the same domain and also that the Windows Server Core system is able to access other resources on the network from the Windows Server Core system). Select Start > All Programs > Administrative Tools > Windows Server Backup. In the Actions panel, select Connect to Another Computer and the Computer Chooser window will open. Select Another Computer, type the name of the Windows Server Core system, and hit OK. If you are able to connect to the Windows Server Core system, the installation will have been successful. 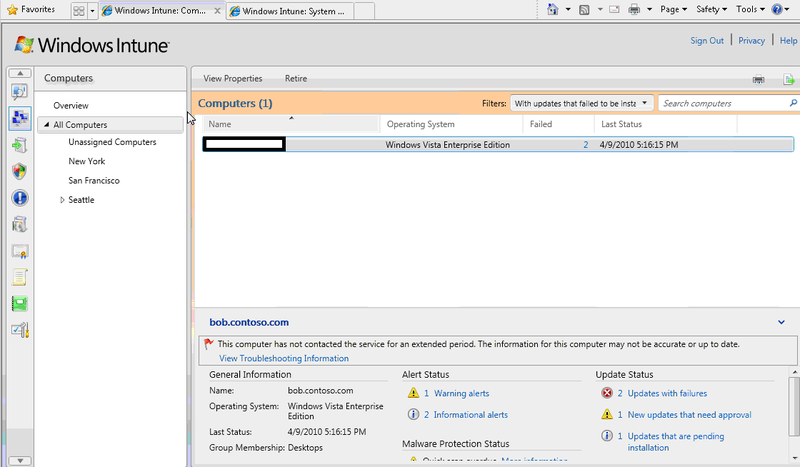 If the connection should fail, either the Windows Server Core firewall is blocking the connection or Windows Server Backup has not been successfully installed. Files on Windows Server are only as secure as their permissions. Thus, it is essential to know that Windows Server 2008 R2 does not give the Everyone group full control over NTFS-level and share-level. Additionally, important system files and directories are secured to prevent unauthorized access. This is a definite improvement over previous versions of Windows Server, but a solid understanding of file-level security is still important to fully ensure the security of files on Windows Server. Right-click the file or folder to which the security will be applied, and select Properties. Uncheck Include Inheritable Permissions from This Object’s Parent . When prompted about the use of parent permissions click Remove. When in the Advanced dialog box, click Add to grant access to the users and/or groups who require access to the files or folders. Check Replace All Child Object Permissions with Inheritable Permissions from This Object checkbox. Click OK. When prompted regarding replacing security on child objects, hit Yes to replace the child object security. Click OK, and finally click OK again to close Properties. Windows Intune is a new product from Microsoft which is designed for system admins to manage and secure PC’s across an enterprise. Windows Server administrators have numerous tools to manage a network of Servers (for example security patches etc can be managed in-house using WSUS), however for the managing individual PC’s spread across multiple locations in the enterprise. 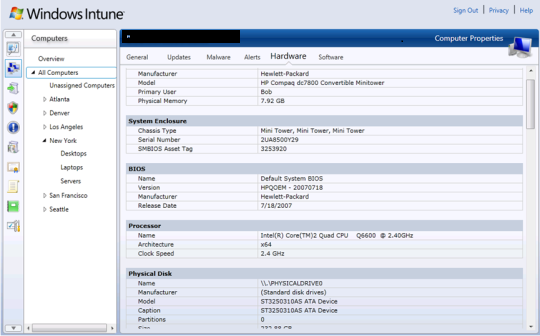 Intune is a cloud based solution, allowing administrators to logon to the Intune online portal and manage remote PC’s. 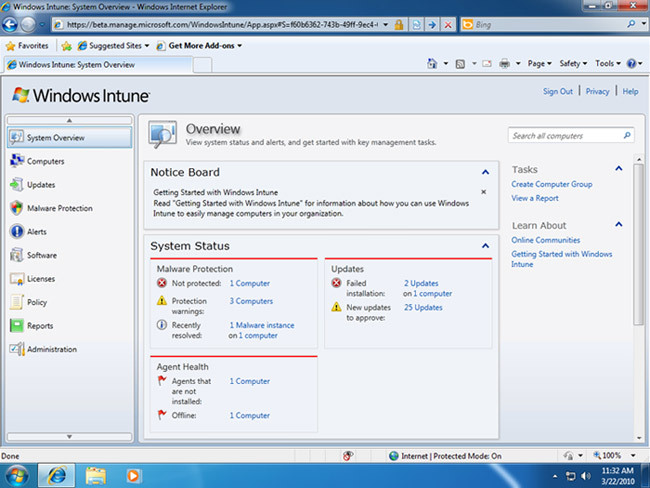 Note that every remote PC which is being administered from Intune will need to have the Intune client installed. Manage Updates : Manage the deployment of the Windows OS updates and service packs to remote PCs. Protect PCs from malware : Helps safeguard the enterprises PCs from the latest threats with centralized protection built using the Microsoft Malware Protection Engine, Microsoft Forefront Endpoint Protection and Microsoft Security Essentials. Proactively monitor PCs : Get alerts on updates and threats to proactively identify and resolve problems PCs. Provide remote assistance : Resolve PC issues using remote assistance. Track hardware and software inventory : Track the hardware and software assets used in the enterprise to efficiently manage your assets, licenses, and compliance. Set global security policies : Centrally manage updates as well as firewall and malware protection settings across the enterprise even on remote machines outside the corporate network. Requirements are quite minimal, for client PCs XP or higher is required and for administrators to access the online portal a browser support Silverlight 2 is required. The first screen you are presented with after logging into the Intune online portal is the Overview screen which provides a summary of the PC system status’ across the enterprise. 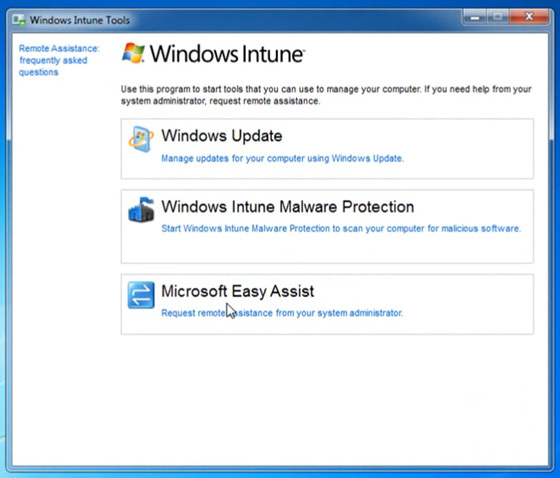 Clicking on the Computers link on the left gives a listing of the computers which are being administered using Windows Intune. PCs can also be grouped for the purposes of administration. Selecting one of the computers in the listing provides the full details of the hardware and software specs of the PC as well as the system updates applied. 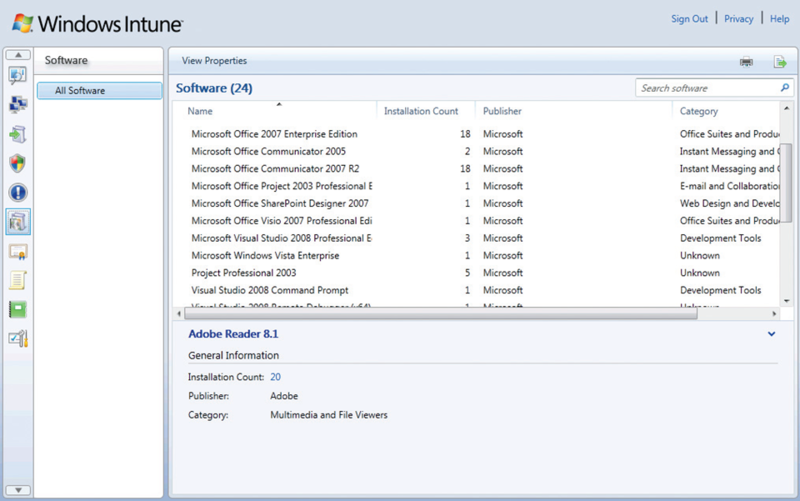 Across the enterprises PCs Intune will show a listing of all the software products installed. From the Intune online portal admins can assign updates for distribution to PC’s connected to Intune. 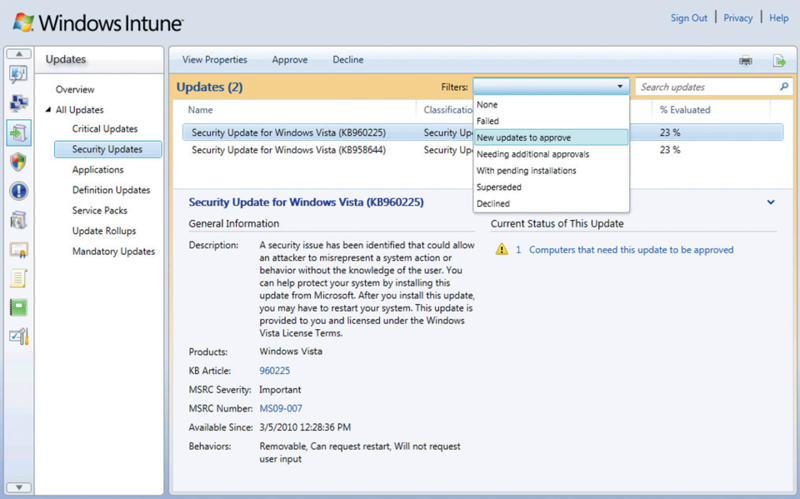 Click on security updates for a listing of all updates for the various Windows OSs on the PC’s connected via Intune. The patches can be reviewed and the Approved for distribution to PCs. Intune provides in-built protection against malware (such as trojans, spyware, rootkits and virsuses) using the Microsoft Malware Protection Engine. PCs will automatically be protected with no intervention required from the administrator via Intune. In the event an attack is detected the malware engine will attempt to block the attack and report the events on Alerts Overview page of the Intune portal. Security policies can be set for managed PCs using the Policy Overview page. A security policy allows you to create new policy settings based on simple template based configurations. The template agent allows administrators to create standard policies to configure security updates, firewall policies and malware protection. A common issue for administrators is diagnosing and fixing issues on remote PCs. Windows Intune allows admins to remotely access, diagnose and fix problems on PCs managed by Intune. The Windows Intune Center which will be installed on client PCs allows the admin to remotely take control of the client desktop (after the client grants permission) via Microsoft Easy Assist. In addition the PC user will also be able to check the status of Windows Updates and scan their PC or attached storage for malware from their native Windows Intune Center. Overall, Intune is a capable offering from Microsoft. It will offer admins a simple and efficient way to manage a PCs across and enterprise. However the product does still have some shortcomings such as the lack of an ability to manage software application distributions and versioning across managed PCs. Once WSUS has been installed, the organization must decide on how to use WSUS to configure the the updates for the client servers under its control. 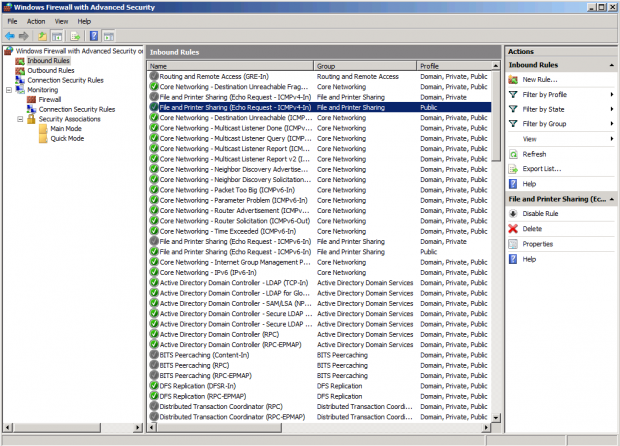 Organizations which don’t use Active Directory or group policies will have to manually configure every client server’s settings with the location of the WSUS server. This can be done either through using a local policy or manually through the Registry settings. However, in most circumstances the organization will be using Active Directory and can configure all clients. Launch Group Policy Management (available at - Start >All Programs > Administrative Tools > Group Policy Management). Navigate to the unit in your organization which will have the group policy applied, rightclick on the name of the unit, and then select Create a GPO in This Domain, and Link It Here. Add a name for the new GPO (there is also an option to start from the existing settings of a current GPO). Click OK.
Right-click the your new GPO and then select Edit to start the Group Policy Management Editor and then expand it to Computer Configuration\Policies\Administrative Templates\Windows Components\Windows Update. Double-click on the Configure Automatic Updates setting. Set the group policy which is to be enabled, and then configure the automatic updating sequence as required. The three options (2, 3, 4) enable different degrees of client intervention. To enable client-independent installation select option 4 (Auto-download and schedule the install)..
Next, schedule the interval at which updates will be installed and note that some updates will require a reboot. Select Next Setting for more configuration options. Click Enabled to set the location of your organization’s WSUS server – it is recommended to enter the fully qualified domain name of the server. Enter both settings (normally the same server), and then hit OK to save the Group Policy settings. Then click Next Setting. (Note that organizations who elect to use a custom web IIS website will have to use Port 8530 for client access to WSUS, in which case enter the web location appended with port number, for example http://defr.winserverorg.com:8530, for both settings. Set the interval at which the the client will check for updates, and then click Next Setting. Review all the remaining option settings and configure them as required. Then click OK.
Repeat the above 12 steps additional organizational units. Depending on which settings are chosen by the Registry or group policy, clients which are managed by WSUS will automatically download updates throughout the day and then install the updates at a specified time. Client servers which are configured to use WSUS for updates will not be prompted to configure their Automatic Update settings, which will be grayed out to avoid changes from being made. Users without local admin access will not be able to make any changes to the installation schedule, although local admins users are able to postpone forced installs. It is normally considered best practice to allow servers to control the download and install schedule, but force all clients to do both download and installation automatically. WSUS installation is a simple process as it is installed as a server role from Server Manager. The below steps install Windows Server Update Services plus all required components. On the Roles Summary pane, select Add Roles to launch the wizard and click Next. Select Windows Server Update Services, and then click Next. Next, the Add Role Services and Features Required for Windows Server Update Services window will prompt you for additional components to be installed, if necessary. The required components are the IIS web server and management tools, the Windows Process Activation Service Process Model, and the .NET framework. Once this is complete, click Add Required Role Services to continue and then lick Next. Read the Introduction to Web Server (IIS) overview (if necessary) and then click Next. Hit Next to select the default role services to install for IIS. Read the Introduction to Windows Server Update Services overview(if necessary) and then click Next. After reading the summary of installation selections, click Install. The Server Manager will show “Searching for Updates” and “Downloading” while it connects to the Microsoft’s server and downloads WSUS. It will also install IIS and the Windows Process Activation Service, if required. The Windows Server Update Services Setup Wizard will be shown displays as the installation progresses. Click Next. Read and accept the license agreement for WSUS, and then click Next. If alerted that Report Viewer 2005 is not installed just click Next to continue with the installation (note that some reports will be unavailable without Report Viewer installed). Select the Store Updates Locally check box, and then enter a location to store them. This location needs be sufficient to hold a large number of downloadable patches. Click Next. Select Install the Windows Internal Database on This Computer, or alternatively, Use an Existing Database Server on a Remote Computer if you wish to use a remote SQL Server. Select to Use the Existing IIS Web Site and then click Next to continue with the installation. Review the security settings on the Ready to Install page and then Click Next. The installation then completes in the Server Manager and, once the Finish button is clicked, the WSUS Configuration Wizard is shown. Review the information and then click Next. Click Next to sign up to the Microsoft Update Improvement Program. Select Synchronize from Microsoft Update, and then click Next. If necessary, configure your proxy server settings and then click Next. Click on Start Connecting to save your settings and download update information. This process can take several minutes. Then click Next. Select the preferred update language(s), and then click Next. Select the products which you want to have updates for, and click Next. Select the classifications of the updates that you wish to download, and click Next. Set the schedule that you want WSUS to automatically synchronize with the Microsoft Update servers or alternatively you can select Synchronize Manually. Click Next. Make sure that Begin Initial Synchronization is selected, and then click Finish. Finally, review the installation results, click Close, and then close the Server Manager. Windows Server Update Services is administered from the WSUS MMC which is the main location for all the configuration settings for WSUS and is its only administrative console. WSUS MMC is located at Administrative Tools > Microsoft Windows Server Update Services 3.0 SP1, or can directly accessed from Server Manager. by default. The firewall, which is administered from an MMC snap-in as shown below (that can be accessed at Start>All Programs>Administrative Tools>Windows Firewall with Advanced Security) and provides unprecedented security and control on a server. The new firewall with advanced security is n0w fully integrated into the Server Manager utility and also the Server Roles Wizard. If, for example, an admin runs the Server Roles Wizard and elects to make the server a file server, the ports and protocols which are required for file server access are only then opened on the server. Most Windows Server admins instinctively disable software firewalls on servers, due to the numerous problems with this functionality in the past. This approach is, however, not recommended in Windows Server 2008 R2 as the product is now tightly integrated with the firewall, and the firewall provides a much higher level of security than in previous versions of Windows Server . Program—A rules which allow specific program executable access can be created. For example, you could specify that the c:\Program Files\XYZ Program\xyzprogram.exe file has full outbound access when it is running. Windows Firewall will then allow any type of connections that are made by that program full access. This is useful in scenarios where a specific application server uses multiple varied ports, but the overarching security of firewall provides is still required. Port—Entering a traditional TCP or UDP port in the Add Rules Wizard is supported which covers the traditional scenarios like the requirement to open Port 8787 on the server. Predefined—Windows Server also ships with predefined rules, such as those which allow AD DS, DFS, BITS, HTTP, and numerous more. The advantage to using these predefined rules is that Microsoft has performed all the work in advance, and it will be much more straightforward to allow a specific service. Custom—Custom rule types not covered in the other categories can also be created. Start Windows Firewall MMC (Start > All Programs >Administrative Tools > Windows Firewall with Advanced Security). Select the Inbound Rules node in the node panel. On the Actions pane, select New Rule link. In the Rule Type page on the New Inbound Rule Wizard select Port to create a rule based on the port, and the click Next. On the Protocol and Ports page select TCP, and then enter 8787 in the Specific Local Ports field and then Click Next. Select Allow to enable the connection on the Action page. This Action page of the New Inbound Rule Wizard also enables a rule to be configured which will only allow a connection secured using IPSec technologies. On the Profile page check all the three check boxes. This will enable an admin to specify that a rule will only apply when connected to specific networks. Then click Next. Enter a name for the rule, and then click Finish to complete the process. You should review the rule settings in the Inbound Rules node which will provide a quick-glance view of the rule settings. You may also include a rule within a rule group – this allows for multiple rules to be bound together for simple on/off application. Integrated Windows Firewall is now a vital part of the Windows Server security. The newly added ability to define rules based on factors such as profile, scope, IPSec status, etc positions the Windows Server as an OS with one of the highest levels of integrated security.